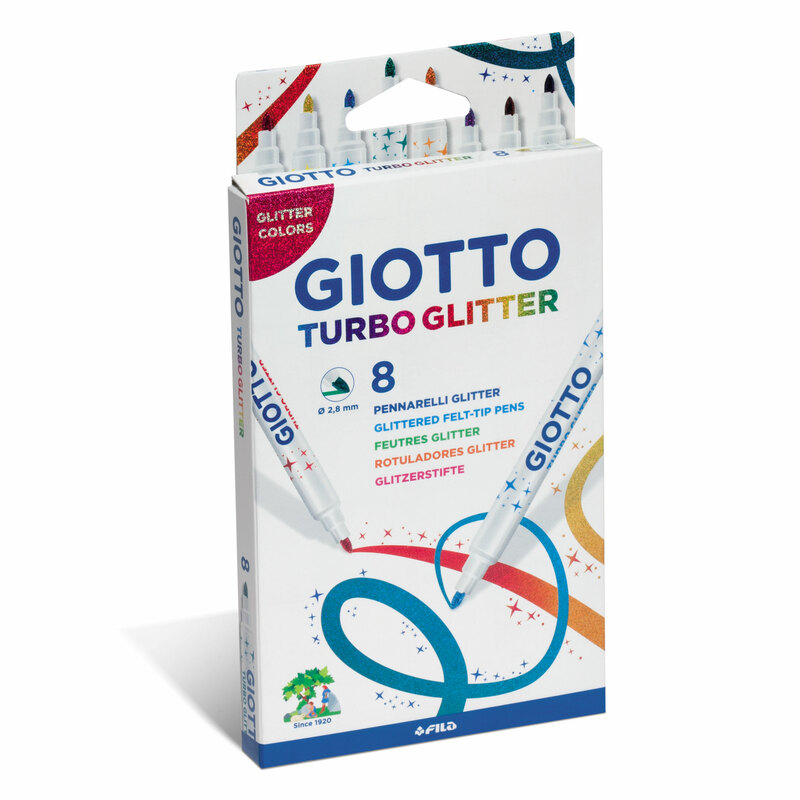 Let your creativity sparkle! This pack contains a set of 8 Giotto Turbo Glitter Fibre Pens that are the ideal choice if you want to create sparkling artwork. Practical, fun and original they are perfect for decorating greetings cards, customising diaries or adding a personal touch to exercise books. 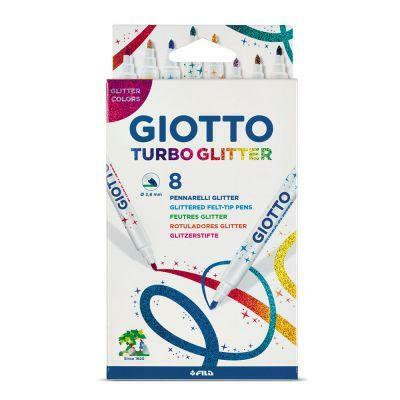 These pens contain a special glitter ink in eight different colours. 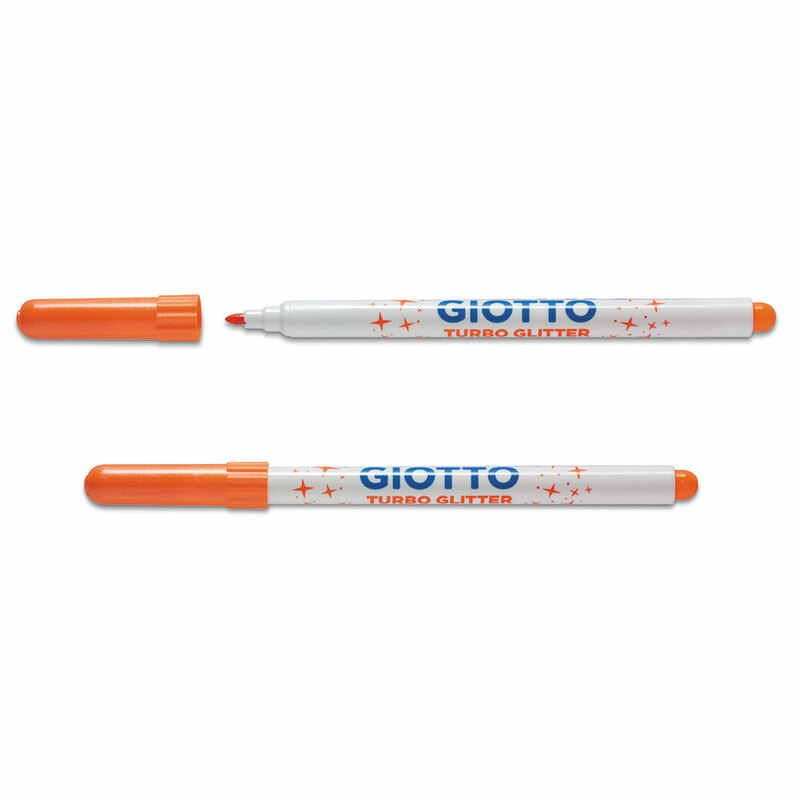 These sparkling inks are designed for creative talents who want to give their artwork a lasting sparkle!